The average life expectancy in the U.S. is 78.5 years — and by now we all know that certain healthy behaviors might help to extend that figure, whether it’s exercise, nutrition, or even little everyday habits. But, could your personality affect how many birthdays you celebrate? Maybe so, according to a body of research evaluating the role our outlooks can play in life span. Of course, it’s important to remember that many factors, from genetics to lifestyle, work together to determine life expectancy — but researchers have found that these six personality traits, in particular, are more common in those who lead longer lives. As the owner of Silver Connections, I particularly agree with # 3 and research is continuing to prove how important social connections are to our physical and mental health. But, all of the traits below are seen as part of contributing to a longer life span. How many traits do you have? Thank your family and friends for this one: a 2010 study published in the journal PloS Medicine found that strong social relationships can boost survival odds by 50 percent. The Brigham Young University and University of North Carolina at Chapel Hill researchers evaluated 148 studies. “We take relationships for granted as humans — we’re like fish that don’t notice the water,” BYU’s Timothy Smith said in a statement about the findings. “That constant interaction is not only beneficial psychologically but directly to our physical health.” Socializing boosts the immune system, which wards off disease. “We’ve seen again and again that people who are lonely or socially isolated show signs of suppressed immunity,” says Ohio State University immunologist Ronald Glaser. 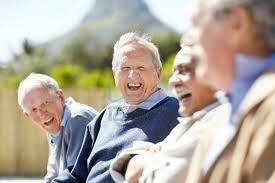 Don’t worry, be happy, live longer? A study published last year in the journal Proceedings of the National Academy of Sciences found that older people who report being happy have a 35 percent decreased risk of dying over five years. The researchers evaluated more than 3,000 people by monitoring their happiness throughout the day — they then followed up five years later to see how many had died. “I was a bit surprised that the happiness effect was so strong, even among people who had chronic diseases,” study author Andrew Steptoe, a professor at University College, London, told MSNBC. Possessing these simple personality traits, or incorporating these traits, may not only add to the quality of your life, but also years to your life span. Laura Kay House, MA, is the founder and owner of Silver Connections, located in the Triangle area of North Carolina. 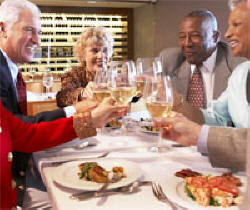 Silver Connections provides numerous socializing opportunities through events and travel, quality members and connections for age 55+, active and single adults. Do You, Or Someone You Know, Suffer From Social Anxiety? At one time or another, we have all suffered with a bout stage fright or shyness. Generally once we learn these situations aren’t as scary as they may seem, we overcome our fright. For people who suffer with social anxiety, however, their symptoms go beyond common stage fright. In fact, these people may actually sequester themselves in their homes to avoid being in contact with the public. 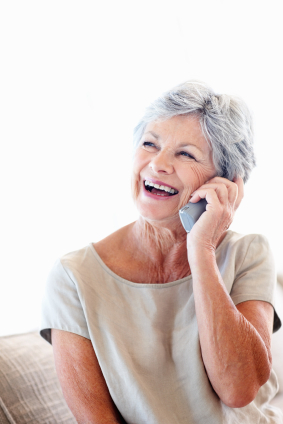 Those who are age 55+, who have been recently widowed or divorced, may suffer even more from social anxiety or the fear of getting back out there again and forming new connections. After being part of a couple for many years, it can be very difficult to begin socializing again alone. The comfort of that other person is no longer there. Also, many times an individual has wrapped themselves up in work and the routine and security that their career provided and now with retirement, must learn to socialize in non-work situations and make new friends. Social anxiety, also called social phobia, is defined as the intense fear of scrutiny by other people in a social situation. Those suffering with social anxiety may also be afraid of doing something embarrassing or humiliating in public. The fear of public speaking is the most common social phobia, however, those afflicted with the disorder may also be fearful of going on a date, filling out a check in public, walking alone in front of a group of people or even having any interaction with people at all. Those suffering with social phobia become flustered and embarrassed when they make common mistakes that others would be able to just brush off. Their body’s natural response to this embarrassment, such as blushing, causes them to become even more self conscious. To avoid feeling this embarrassment, they will avoid public places such as shopping malls, movie theaters and even churches. Social phobia should not be confused with extreme shyness. While shy people are often not comfortable talking with or giving a speech to others, they do not suffer with the all encompassing anxiety that comes along with social phobia. In fact, those suffering with social phobia may not be shy at all; they may be able to converse quite confidently with others in certain situations. It is only when they are faced with the situation that causes their phobia or fear that they become uncomfortable and anxious, and eventually withdraw. One unique aspect of social phobia is that the sufferer realizes that his fears are unfounded. However, they are often unable to overcome their anxiety on their own. Without proper treatment, these people may retreat from all social interactions, eventually staying home alone. 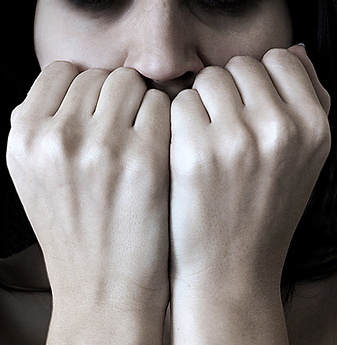 Once diagnosed, however, those with social phobias respond well to treatment. Like other forms of anxiety, treatments may come in the form of therapy, medications or a combination of the two. Cognitive behavior therapy may be used to help retrain the mind to properly recognize which situations are threatening and which are not. This type of therapy may also require the patient to face their fears and overcome them. A doctor may also prescribe anti-anxiety or antidepressant drugs to help the patient deal with the symptoms of anxiety. Social anxiety can be devastating to the sufferer if they anxiety is not properly treated. The feelings of severe anxiety and fear can keep people from taking part in social situations and may even cause them to cut themselves completely off from other people. If treated properly, sufferers can experience relief from these symptoms and learn to live with their anxiety and enjoy an active, healthy social life.